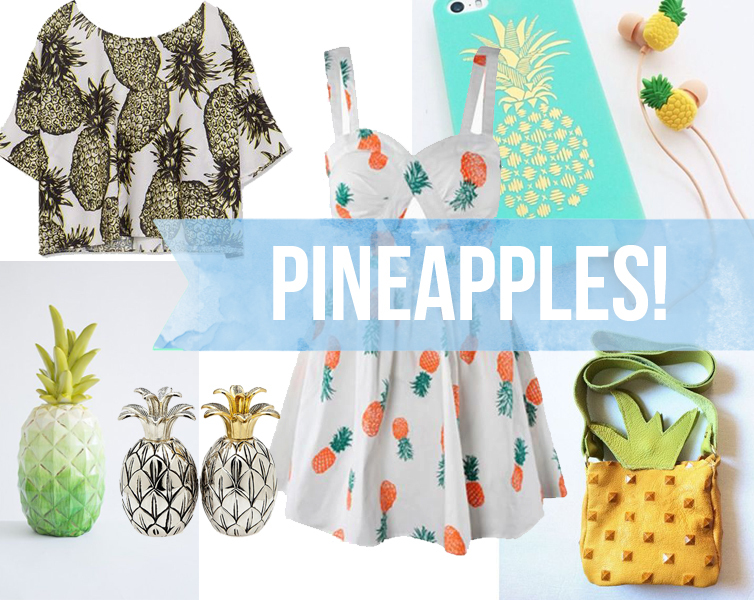 Introducing: The Pinapple Lemonade Collection! This summer, it's all about pineapples, so Black Forest Designs is hopping on the bandwagon, joining the trend so you can have the most stylishly cute inserts. Pineapples are the theme of my new collection entitled "The Pineapple Lemonade", a series of meal planning inserts that are available in my Etsy shop! 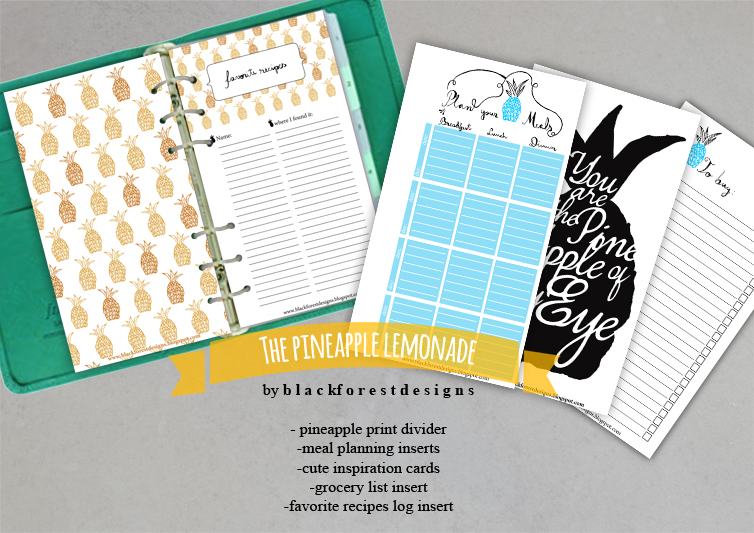 The Pineapple Lemonade collection features 2 dividers, one with a cute pineapple print, and another one that is a cute inspiration card, a series of meal planning inserts with separate slots for each day, containing a slot for breakfast, lunch and dinner, a favorite recipes insert where you can write the title of your favorite recipe and a place to write where you've found them, and of course, grocery lists! Check it out and let me know how you like them!